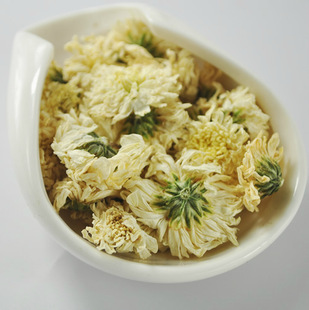 Product categories of Dried Chrysanthemum, we are specialized manufacturers from China, Cheap Chrysanthemum, High Quality Chrysanthemum suppliers/factory, wholesale high-quality products of Wholesale Chrysanthemum R & D and manufacturing, we have the perfect after-sales service and technical support. Look forward to your cooperation! Origin in Ningxia, China. This is a kind of traditional tea makers in Chinese tea culture. According to traditional Chinese medicine, chrysanthemums produce energy that targets the liver, spleen, kidneys, and lungs. Chinese medicine categorizes herbs based on energetic properties rather than the chemical ingredients. Chrysanthemum provides mildly cold energy. Chrysanthemum has been used for hundreds of years in Chinese medicine. People use it to treat respiratory problems, high blood pressure, and hyperthyroidism. Fans of the flower also say it can reduce inflammation and calm your nerves.